The Good Egg Studio in Sydney, measuring 12m x 17m with unrivalled 4.8m headroom, is one of the biggest full egg cycloramas in Australia. 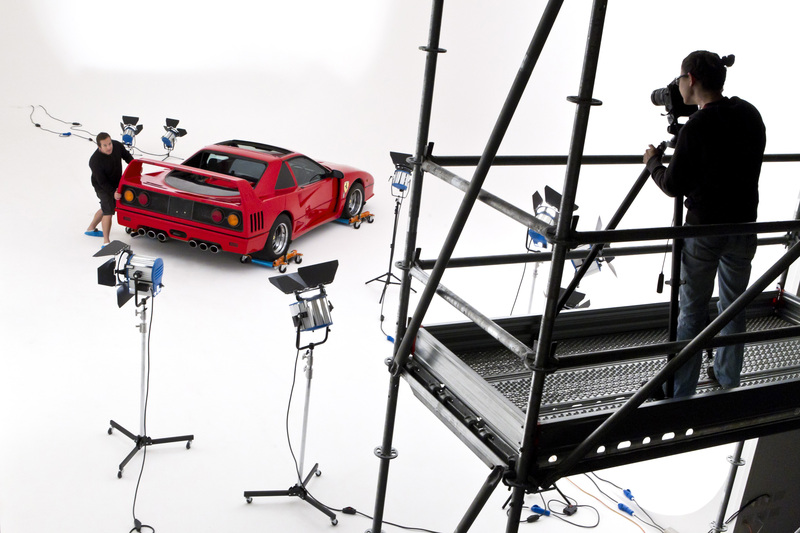 Its cyclorama "egg" eliminates all reflections, and its 4.8m headroom sets a new benchmark. Co-owner Warren Kirby, a veteran photographer and multi-media specialist, said the aim of The Good Egg Studio was to make it easy for clients to achieve superb results. "As experienced photographers ourselves, we know how much is involved in a studio shoot, and we've made it as easy as it can be," he said. "We've covered everything from access to parking, security to catering, accommodation to assistants, and there are no unexpected charges. "We're open whenever clients need us, and whether they have years of studio experience or it's their first big studio shoot, we'll make sure they get great results." The Good Egg Studio could swallow three squash courts with room to spare, making it ideal for big multi-vehicle and furniture shoots that other studios could not accommodate. Mr Kirby said the rates charged, with no hidden extras or heavy overtime rates, would make The Good Egg Studio attractive for shoots of all sizes. "As a further cost benefit, the reflection-free egg greatly reduces retouching costs," he said. "We have comprehensive lighting, stands, poles and clamps, and if you need anything extra, we'll make sure it's ready for you when you arrive and safely returned after you leave. "For something really special, we can even flood the studio for a perfect mirror-image. "We have 500 square metres of on-site parking, plus secure access for trucks to drive right in, keeping subjects away from prying eyes, and safely locked up overnight if necessary." Catering is available at any level from sandwiches to a full gourmet spread, and the studio can recommend nearby accommodation from one star to five stars if needed. The Good Egg can put clients in touch with the cream of photographers, videographers and assistants, and offers professional on-site retouching.